Many knitters understand the importance of versatility when it comes to the craft. Essentially, the more methods you know, the more projects you can complete. If you are looking for a new stitch to add to your expertise, you are going to love the whelk stitch. This gorgeous stitch creates a waffle-like pattern that can be used for a variety of things such as washcloths, blankets, and clothing. Here, we will discuss the simple process for the whelk stitch that is easy enough for a novice knitter to try out. 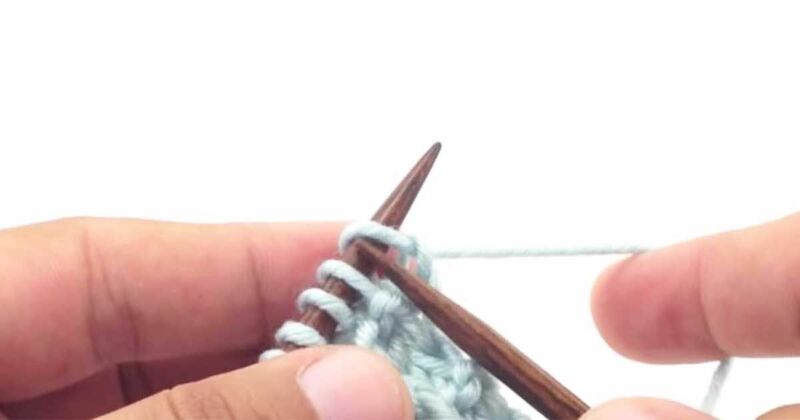 If you already have an understanding of a basic stitch, this new method should come easily. Once you have mastered this stitch, you'll have a totally new look to show off in your creations. Ready to give this stitch a try? Check out the video from New Stitch A Day for a step-by-step visual of the project. To begin, you'll need a ball of yarn and two double pointed knitting needles. Pro tip: Please note, it is especially important to take your time to establish the first four rows correctly as this will serve as the base for your entire project. If you miss a stitch, it is important to repair it before moving forward. This pattern is made of four rows that you will repeat until you achieve the desired length of your project. Row 1 (RS): K3, *sl 1 purlwise, k3; repeat from * to end. Row 2: K3, *wyif, sl 1 purlwise, wyib, k3; repeat from * to end. Row 3: K1, *sl 1 purlwise, k3; repeat from * to last two sts, sl 1 purlwise, k1. Row 4: P1, sl 1 purlwise, *p3, sl 1 purlwise; repeat from * to last st, p1. Share this method with your friends!